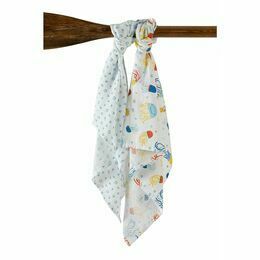 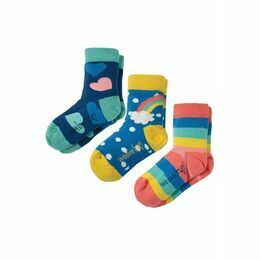 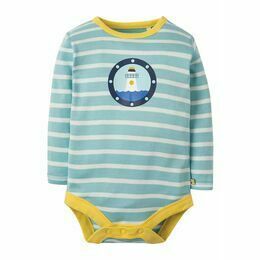 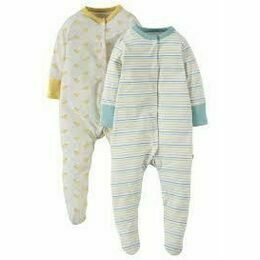 This charming set of 2 of Teeny Bodies from the Frugi My First collection has both a long-sleeved and short-sleeved option, perfect no matter the weather! 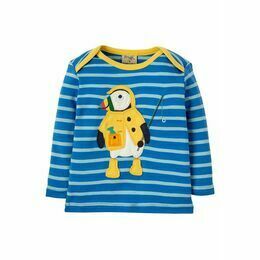 The long sleeved body in a pink Breton stripe has useful integrated fold-back scratch mitts. 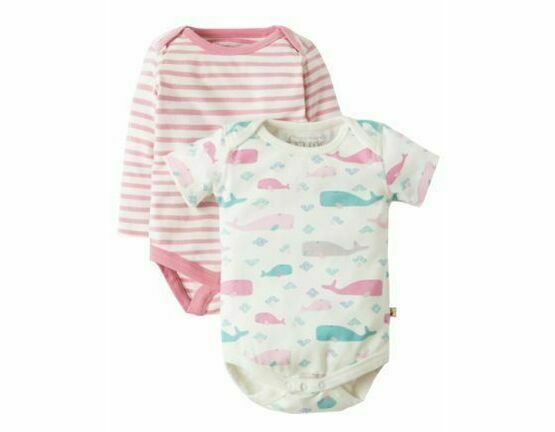 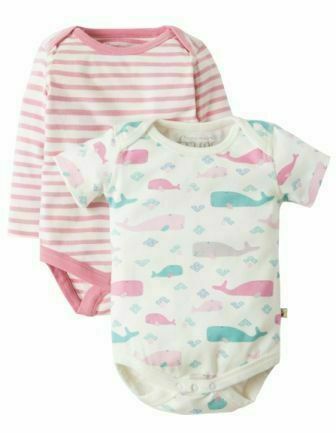 The short sleeve version has a gorgeous print of pink and aqua whales and both have envelope necklines for easy dressing, and poppers to secure underneath.